Hi I’m James the new Sales Application Engineer at Micromech. I have been with Micromech for three months now working alongside the sales department dealing with the more unique and challenging applications. My working life started at the age of 16 when I joined the Armed Forces, I originally trained as a weapons engineer specialising in guided weapons systems. Having good background knowledge of how things go ‘bang’ and a hunger for more knowledge I advanced over to Ordinance Survey (weapons disposal). 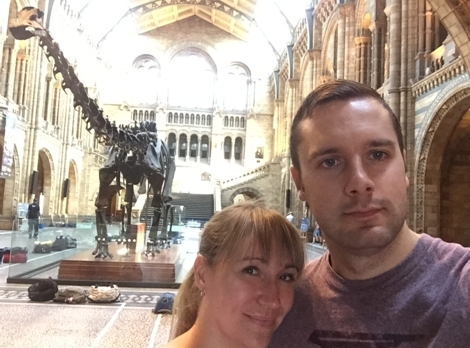 After a lot of time away on tours of Africa, South America, Iraq and Afghanistan (to name a few) and having met my partner Rachel I decided my time In the Forces had come to and end and was ready to move onto something new….something less explosive! After leaving the Armed Forces I obtained a job with Crest Group UK as the Electrical Manager for three years I then moved on to J.W.Froehlich as a lead Design Engineer. Whilst employed at Crest Group, i was in charge of electrical manufacture for ultrasonic machinery. The machinery produced there is used in various industries from de-contaminating aircraft turbines to hermetic cleaning of knee and shoulder joints. At J.W.Froehlich I was part of the electrical design team producing drawings and running electrical jobs in the factory. I have been lucky enough to have my name on some of the most up to date advanced machinery in plants such as Ford Dagenham, Ford Cologne and JLR Wolverhampton. Working for such highly demanding companies helped me to push my standards to a higher level and hone my previous skills. 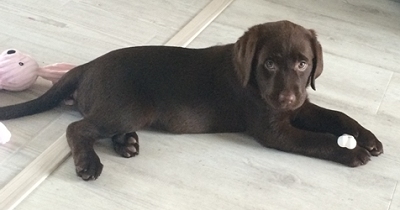 Outside of a (semi) demanding work life I like to spend my time outdoors hiking, sailing, shooting and walking the new addition to my family, our chocolate Labrador puppy Mia. Like me, she cannot get enough of the outdoors…….and food, that’s her favourite thing, lots of FOOD!! Oh and the pink bunny doesn’t look like that anymore…R.I.P earless pink bunny. I’m looking forward to my time with Micromech and the team here, Absorbing all the knowledge and years of experience from people like Mark, Richard and Alan. I hope to be out on the road soon meeting customers, building relationships, and providing the usual high level of Micromech service.